Traveling to a foreign country might seem complicated if you are vegan. After all, labels probably won’t be as clear there, and you might not know the ingredients in the local food that they are serving. While there isn’t a large variety of local Moroccan foods that are vegan, it is definitely possible to have a wonderful trip to Morocco as a vegan! 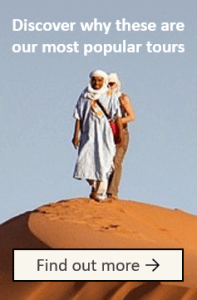 These tips will help you understand the culture in Morocco in relation to veganism, give you some ideas of possible food that is vegan-friendly and offer some warnings about hidden ingredients in foods that may appear vegan. 1. 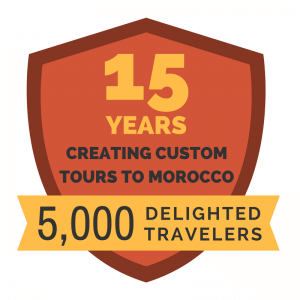 Explain your situation to your tour company (if you aren’t planning your own trip). They will set you up with a driver that will be certain to seek out food options that will meet your need. Our drivers go out of their ways to make your trip the best trip possible – so they will be sure to aid you in this situation. This will be very helpful in that they will be able to ask restaurant owners and chefs about what is in the food, stop on the journey to pick up fresh fruit/vegetables for you and seek out specific locations that offer vegan options. 2. People probably won’t understand the word “vegan” in Morocco. Although veganism is becoming more popular in other parts of the world, most Moroccans will not have heard of it. Be ready to ask about specific ingredients as a way of determining what is in the food. Here are some helpful phrases to use in French and Arabic to explain what you want. Je ne mange pas de produits d’origine animale. (I don’t eat animal products). 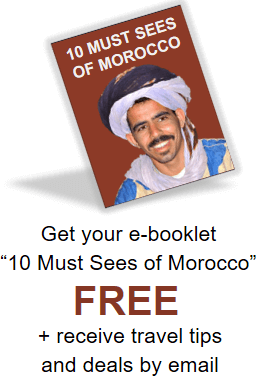 Note: You may want to purchase a Moroccan pocket language guide book to help you communicate more effectively. It is served at almost every meal and usually is not cooked with milk or eggs. However, if you want to be extra careful, ask your guide/driver to talk to the restaurant/hotel staff. 4. There is an abundance of fresh fruit in Morocco! There is a lot of variety in the fruits offered in Morocco and they are all delicious. You will be able to eat fruit whenever you would like in Morocco. At every restaurant you visit, there will be an option of fresh seasonal fruit for dessert. This is a good option if you aren’t feeling confident about whether the other choices are vegan. There will be little fruit/vegetable stands in the Medinas (the old walled cities) that you will visit where you can pick up fruit or vegetables on-the-go. Though there might not be a huge variety of vegan full meal options in local Moroccan cuisine, there will be plenty of vegan snacks available to keep your energy up as you explore the beautiful country of Morocco. Moroccan olives are a huge favorite among visitors and locals. Dried fruit will be available at many little stalls around the cities: from figs to apricots to the famous Moroccan dates. There are also lots of nuts available at little shops, called hanuts, which are everywhere. Vegetarian tajine: These should be safe, but you might want to check if it is cooked with any butter or a meat stock. 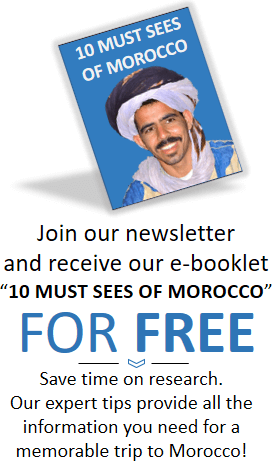 Moroccan salads: try zaalouk, which is especially delicious! Note: They also serve rice sometimes, but you might want to ask what other ingredients were used to cook it. 7. No vegan main meal options available at a restaurant? Make a sandwich with Moroccan bread filled with salad, olives and vegetables. Moroccan mint tea is delicious and will probably be one of your favorite things that you taste on your trip. However, sometimes it will be sweetened with honey. Order it sugar-free to be safe and add your own sugar! Try the fresh fruit juices that are available on the sides of the road or for breakfast at your hotel. You can even watch them squeeze them before your eyes so you will know they are 100% pure. 10. Are there any vegan restaurants? Earth Café in Marrakech-located off of the Jemaa El Fna (the main square). If you are tired of eating bread, fruits and nuts, this would be a nice place to get a warm meal. Try a vegan sandwich at Café Des Epices in central Marrakech. Restaurant Aisha (Stall #1) in Jemaa El Fna, Marrakech is reported to be vegan-friendly as they don’t use animal based broth. Note: If you find any other great restaurants, please send us a note so we can add them to this list! Animals are definitely treated differently in Morocco by the small farmers than big businesses in the Western culture. Therefore, they might not understand you when you explain that a reason for being vegan is animal welfare. 12. Culturally, also be aware that eating meat is considered a sign of wealth. This is another reason that Moroccans might not understand veganism. If you are a guest in someone’s home, there will almost certainly be meat in the dish that you are offered. Pack Clif bars or any other packable on-the-go vegan snack for both the airport portion of your trip to Morocco and the stay. Your hotels and guides will be very accommodating with trying to meet your needs. That said, at times, they might not completely understand all the elements of being vegan. Do your best to check ingredients, but in the situations where it is impossible to be certain, either be willing to be a little lenient or have these vegan snacks on hand. To conclude, during your trip to Morocco, you will certainly be able to find wonderful food that is suitable for you, especially in the local markets and with special requests. You will find that everyone that you come across during your stay will do their best to help you in any way possible. Keep these tips (and especially the language phrases) in mind to enjoy stress-free vegan travel to Morocco!